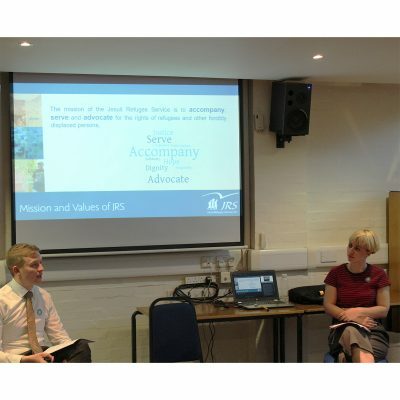 On Tuesday, JRS UK held their second At Home Open Evening, which welcomed individuals interested in how they could support the work of JRS UK by becoming involved with the At Home hosting scheme. 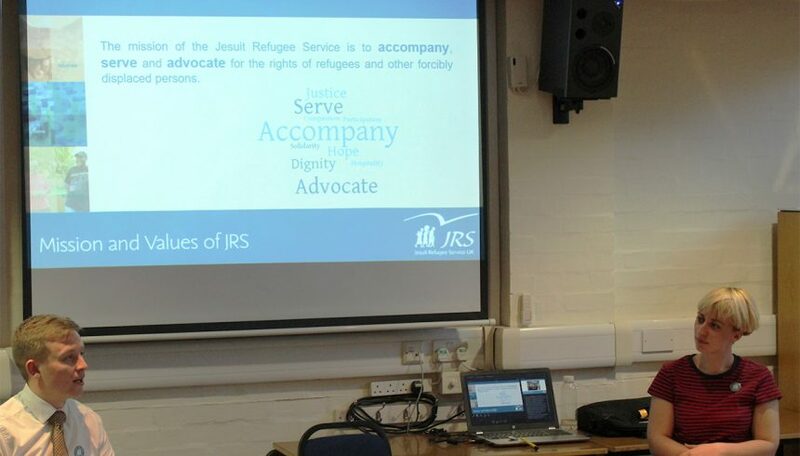 Those attending were introduced to the work of JRS UK and the challenges faced by refugees and asylum seekers due to the web of restrictive policies known as the hostile environment. Homelessness is one of the major concerns for those accompanied by JRS UK, with 62% of those whom JRS UK works with spending time in the last year sleeping on the streets. JRS UK’s At Home hosting scheme works to alleviate some of this concern by providing short term accommodation at an otherwise uncertain time for these individuals. 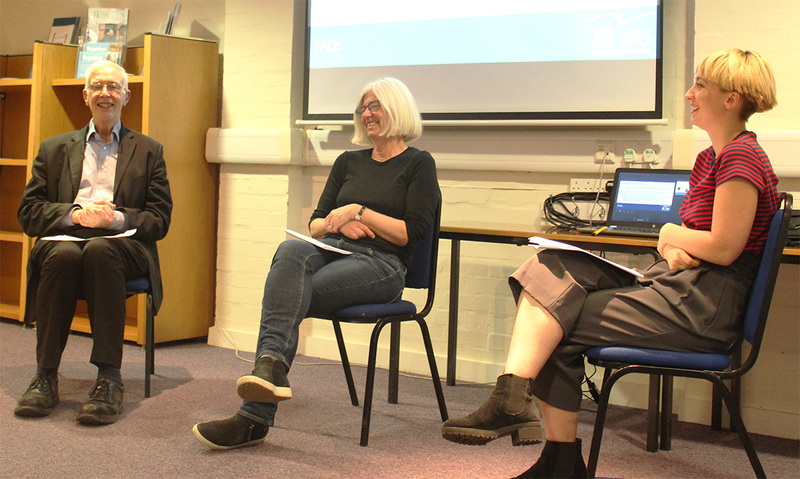 However hosting is a two way relationship and a number of current hosts, who spoke at the event, shared some of the great experiences and relationships they’ve built through being part of the hosting scheme. Naomi, Communities of Hospitality Coordinator, oversees the hosting scheme at JRS UK. Speaking after the event she said, “The open evening was a wonderful opportunity for prospective hosts to hear from some of our current hosts, and to hear the positive difference that hosting has made in their lives. When we encouner people who are considering hosting for the first time it is common to hear how they may feel slighty daunted by the prospect. You could clearly see the reassurance they felt after speaking to someone who had welcomed several of our refugee friends into their home. After answering some common queries that potential hosts have, and sharing their personal reflections on the hosting scheme, our current hosts (Felicia and Mike) were able to answer some of the questions that those attending had about hosting. If you are interested in opening your home to a destitute asylum seeker but weren’t able to attend the Open Evening then you can find out more about At Home on our website or by getting in touch with our At Home Coordinator, Naomi. To learn more about the challenges of homelessness amongst destitute refugees, read our ‘Out in the Cold’ report.